This just gave me chills all over. When Ashley Lang reached the park to spread her beloved dog’s ashes, little did she know the universe was going to give her a special sign to remember her dog by. 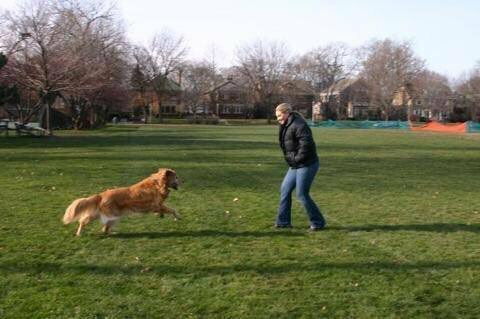 Ashley, who lives in Chicago, had lost her beloved Golden Retriever and best friend, Wagner, when he was 12-years-old. 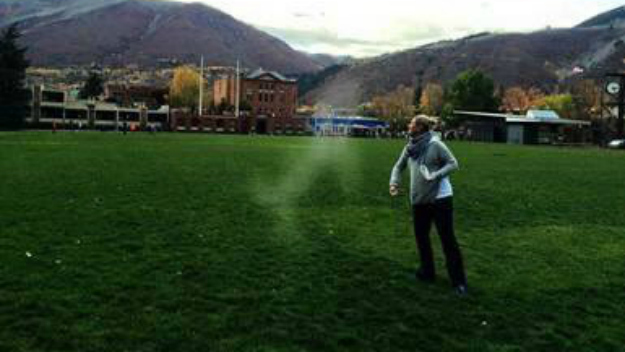 She wanted to do something special for him, so she decided to spread his ashes in his favorite dog park. Ashley reached the park and began spreading Wagner’s ashes. Her friend was taking photos of this moment when she noticed something incredible. One of the photos had captured what looked like a white silhouette of her dog. All dogs are angels, and Wagner just gave Ashley proof that he was one too. We hope she frames this photo and keeps it for life, because it truly is something special.